This week’s photo challenge prompt is “tension”. As a beginning cellist, I’m learning about proper bowing technique, proper finger placement, proper posture, properly reading the music – all of which is lost if one’s cello is out of tune. Tuning is done by adjusting keys at top and or bottom of the instrument that carry the strings over the bridge. The bow is also tightened or loosened to produce the proper tone. Each of these maneuvers is dependent upon … tension! Obviously, I did not take this photo, but thought it was such a good representation of the strings, bow, and tension adjustment areas. The “feature photo” is my own. 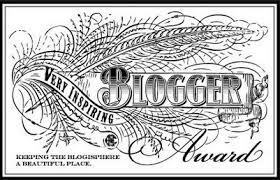 Today’s Sunday Sevens is a little different, serving to explain about my recent absence around the blogosphere. Please check out Natalie’s site, Threads and Bobbins to see what the Sevens are all about. My sister dubbed December the “Month of Yes”. The Month of Yes was dedicated to enjoying all tasty goodness of the holiday season (it really began in November and ended in January, but let’s not quibble about a few days). After enjoying TMOY to its maximum and managing the first month of the new year, February has produced what I’ve dubbed the “Week of No”. In fact, there have been three such weeks resulting in either limited or NO progress in sewing, projects, exercise, cello practicing, my List of 16, photos, or blogging-reading, commenting or posting. Good grief! The conspirators? A fender-bender in the bank parking lot. I pulled into an empty space, and as I had nearly completed parking, the truck next to me began to pull out. Yes, right into my right front fender and wheel well. Curses. Off we go to the collision department. I am stuck without a vehicle at home when hubby takes the truck to work. In addition to lack of transportation, we are housebound due to a major snowstorm that dropped eighteen inches of snow. Mom and I exercise indoors, referring to our sessions as our “Knees Up, Mother Browns”. You can see our little front fence before the snow storm…. and a few hours later. Withing an hour after this photo, fence was entirely covered. Tough times bring out good people. Our generous next door neighbor and his snowblower cleared driveways and sidewalks for four of the adjacent homes. He made three passes for each of us. I didn’t have pen and paper handy for phone numbers when same neighbor and another offered help with snow or transportation while husband was in hospital and after bringing him home. What? Did you read that correctly? Yes. My dear hubby slipped on the basement stairs and ruptured the quadricept tendon nearly completely. Surgery performed, a full length leg cast administered, patient finally released and hospital bed delivered. A very long recovery is predicted. Sigh. My sad, empty makeshift sewing basket. It’s very tiny, the bottom is about 3″ by 6″, and in this picture you can’t see all the holes and “pointy” parts. Wouldn’t it be lovely to have a new one? Oooh, there just might be a new post coming up regarding said basket. Hoping to get back to some normalcy very soon. Sewing projects are gathered, washed, ready and waiting. In the meantime I’m just trying to stay focused on each moment, and keep myself healthy and strong for everyone else. Wishing you all a week ahead with no trauma, and lots of progress and joy! The topic of this week’s challenge is Zero. Challenging indeed. I studied the skies for a shot of zero clouds, or zero visibility. I checked the weather report for zero degrees. I searched for zero in the world around me. Eventually I discovered the zero, right in my own fridge. Well folks, I’ve been dipping ever-so-slowly into the world of social media, but I’ve not arrived at the butterfly stage just yet. Mastery of same – check, no check, no check. Curses. Regarding Twitter [@jen_davismiller] and Instagram [ffynant], I’m still a caterpillar. So for those of you who have joined my sites, thank you, and my apologies for sporadic posts and unanswered (and unseen!) comments. I’m still working on it, and I’ve noticed something. It appears one has to use them regularly to learn them. Did you see the light bulb moment coming? Learning anything is a little like mastering sewing, isn’t it? I’ve been hesitant with my sewing, in part because of reluctance to sew for my uncooperative waistline, and in part perhaps because of a reluctance to fail. But I must soldier on! What can you see in these swatches? they’re not garments but something simple, fun and guaranteed to give me a needed kick in the pants boost. I think you’ll like them. And I’ll be posting them all throughout CyberVille! Surely my butterfly status is just around the corner. It’s Sunday again! That means it’s time for Natalie’s Sunday Sevens. Check out the Sevens on her blog, Threads and Bobbins. Maybe you’ll want to join in! Today in America, it also means Super Sunday. As in Super Bowl Sunday. Carolina Panthers vs Denver Broncos. Carolina has a powerful team, led by young quarterback, Cam Newton. Newton is extremely talented, fun to watch and has a great future ahead of him. Denver is championship team; previous Super Bowl winners. Their very popular quarterback, Peyton Manning, a man of undeniable skill, is retiring after enjoying a stellar career. Can you guess who I’m pulling for? Let’s see the old man go out with a bang. Go Broncos! Bundled up in coats, boots, gloves and hats, hubby and I ventured out into the cold (and a random snowflake or two) to visit the Rochester Public Market. This is a massive open farmer’s market, with a small mall and an enclosed corridor with meats, some prepared foods, and more veggies. First stop was Boulder Coffee, celebrating Ice Cream for Breakfast Day….they offered free sample sized scoops of vanilla ice cream with a drizzle of balsamic syrup. From the myriad of flavors, we had to try the chocolate. Yummy! Next we popped in at VM Giordano Imports European Cheese Shop. Oh yes, we selected three chunks to take home. Three! We do love our cheese around here. And we found, in another (unphotographed) shop, some 5-year-old cheddar. We bought some of that, too, and have already broken into it. Happy cheesy people. Here is part of the haul. I see some roasted veggies in our immediate future! We enjoyed the performance of the Rochester Philharmonic Orchestra. Hubby’s “symphony” face. Isn’t he sophisticated? (shhh, he is unaware this picture has been published for all the world to see.) Need to hone my selfie skills. Miss Frieda found a new box. Contrary to appearances, she was happy in there, and clearly didn’t appreciate having her reverie interrupted for a photograph. Hope your next seven days are fabulous, and we’ll see you back here next Sunday! 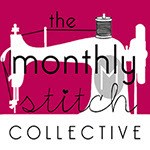 This week’s topic is Stitch. The photo is a nod to all my knitting friends out there. In a previous post, I shared a picture of my mother’s old knitting bag. I find it extraordinarily beautiful, and it brings back such comforting memories. My mother is living with us now, and has brought that old bag back to life, as she is beginning to knit again. While examining the long tucked away contents, she discovered this dandy little item. A stitch counter!